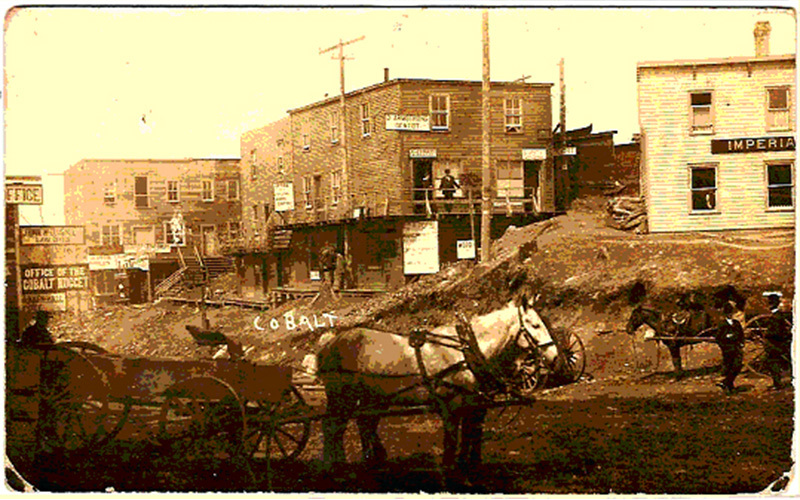 At its peak, nearly ten thousand people lived in Cobalt and the town boasted many of the amenities of a large city. Many of the buildings which held these amenities are still up and running. Some are tourist hot spots, while some are small shops and new businesses running in these old, historic buildings. 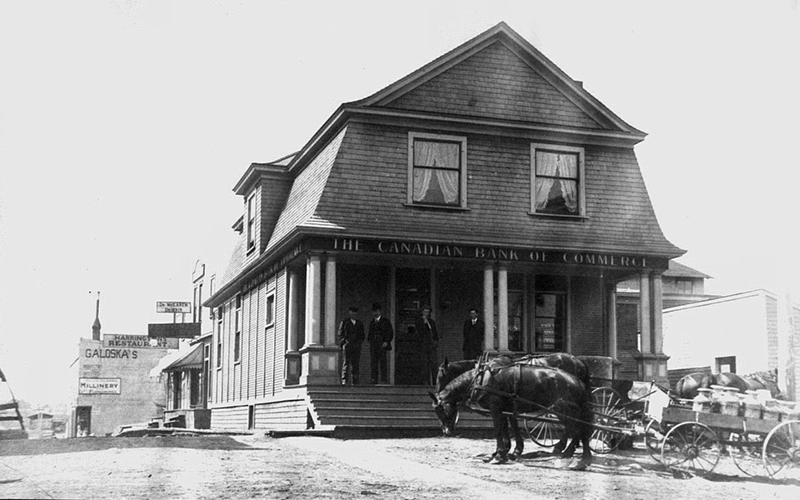 The Bank of Commerce, built in 1905, is one of the few remaining examples of the bank of Commerce pre-fabricated structures that once dotted Western Canada. Despite the changes in the porch columns, windows, porch stairs and sheathing material, this building, unique in the Cobalt area in its “West Coast” style retains much of its historic character. The Bank of Commerce first opened on August 09, 1905 and paydays were so busy that the manager would remove the windows so the miners could climb through to be served. Constructed around 1916, this two-storey brick building is a good example of the Georgian style, common in commercial buildings of the early 20th century. Due to its position on the Square, the Imperial Bank has a highly dominant role in the Cobalt townscape and its retention is essential to the preservation of the historic character of the town centre. The Classic Theatre, built in 1926, retains the simple façade, with the large first floor display windows, and inset door, typical of the 1920’s cinema era. The second floor, with its inset panel and three windows, provides geometric design interest derived from the contemporary Art Deco. 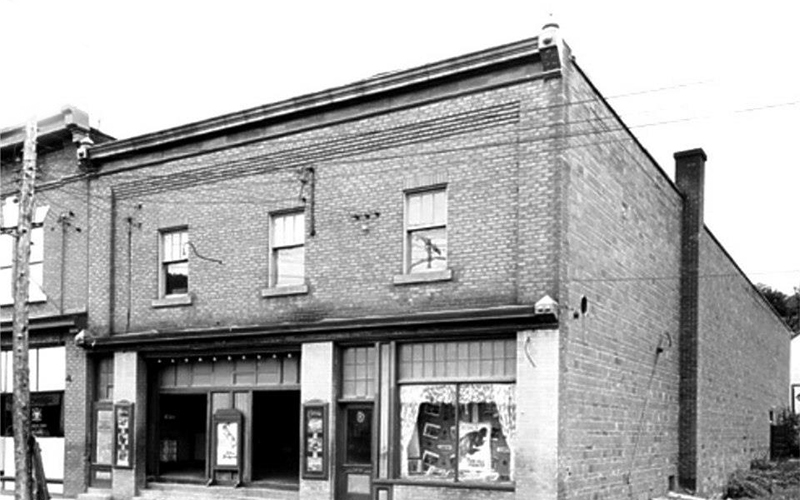 The Classic Theatre is the lone survivor of the many theatres, essential to the morale of a mining camp that entertained early Cobalt and thus presents a unique and integral facet of Cobalt’s historical context. The Classic Theatre hosted more than 70 events each year. Including theatre, music, comedy, dance and variety shows. 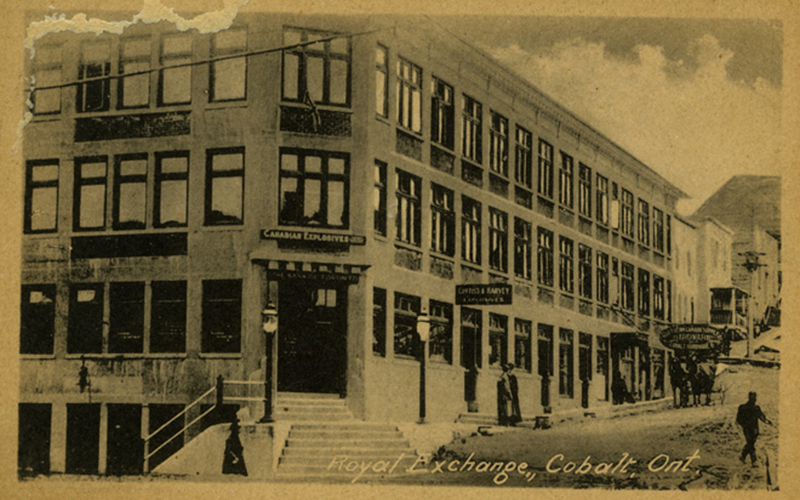 The Cobalt Nugget Office, constructed in 1908-1909, founded the daily newspaper that later became the North Bay Nugget. Before the Nugget moved to North Bay, it was distributed to major cities like New York, Chicago, and San Fransisco. The brick façade of the one-storey building, with its concrete base has remained substantially intact and is highly evocative of the historic period of Cobalt’s first decade. Built in 1910, the T&NO Railway Station is the most elegant building in Cobalt. The Station is constructed in typical turn-of-the-century railway style with long low Japanese-style roofs, wide timber braced eaves, picturesque dormers, and an almost Classical centre section with its fan-headed window, semi-circular hood, and flanking Classical ball-and-pedestal. 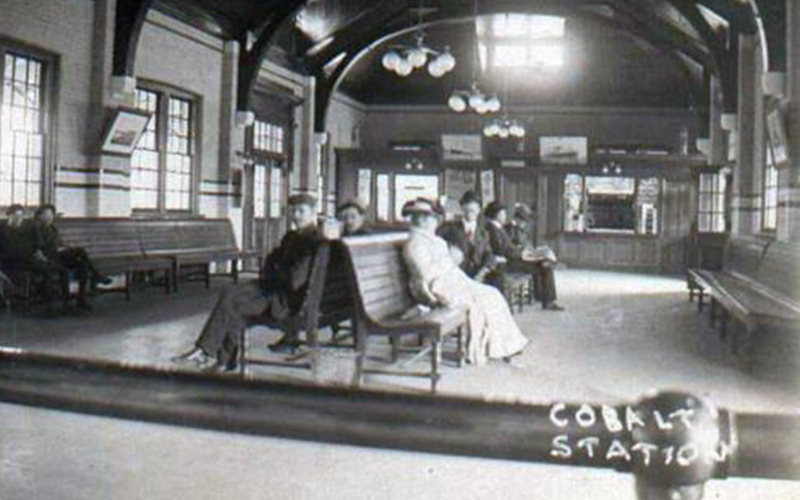 The Temiskaming and Northern Ontario Railway created Cobalt; this station is an impressive testament to that founding role. The Coniagas Headframe, built in 1914, displays the arrogance of the early mining companies who considered it their due to blast in centre Cobalt “so long as a warning signal be sounded.” It continues operations until Anthony Giachino purchased the building to operate Giachino’s Grocery Store. Shortly after opening, Giachino realized that the cold mine air could be used to chill perishables. He would hang his fresh cut meats down the shaft to keep them cool throughout the year. 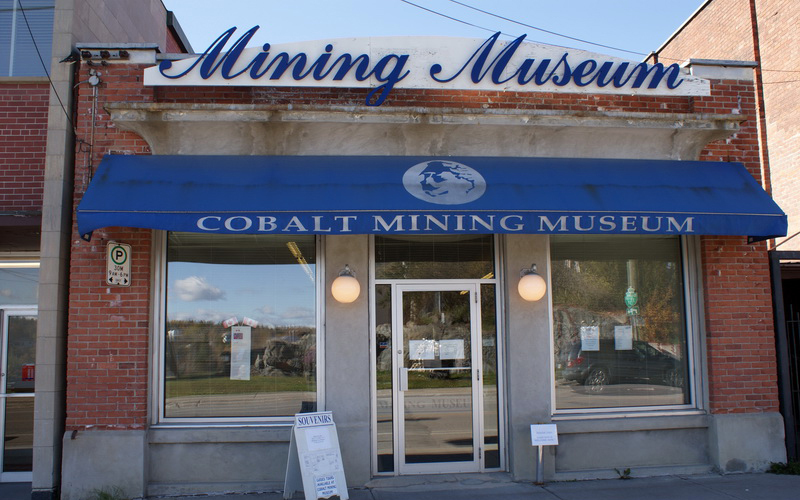 Both the mining operations of the Coniagas Mine and Giachino’s Grocery form a unique architectural artifact and element of Cobalt’s historical context. 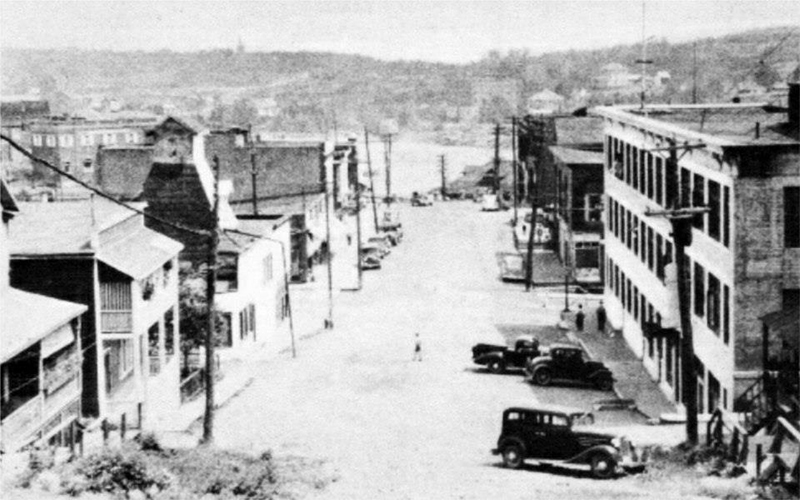 Built in 1910, this 3-storey “fireproof” building was viewed by Cobalt as a milestone, pointing the way to a new and better Cobalt. Missive in size, the block is built with a visible structure of ferro-concrete floors and wall piers, infilled with brick. Together with the sub-divided windows, the concrete structure gives a grid effect to the façade reminiscent of certain Prairie Style buildings.The structure is a handsome and dominant element of the Cobalt landscape. The Royal Exchange Block contained the Canadian Explosives Office, the General Electric Office, the Bank of Toronto, Ontario Surveyor’s Office, the Northern Miner Press, a drinking parlour, restaurant, as well as the Stock Exchange.